Just when you thought battery gate was safely in the past, Apple has reminded us that it’s never really going to go away. As first reported by The Verge, Tuesday’s release of iOS 12.1 brought an under-the-radar “feature” that may raise the eyebrows of iPhone 8 and iPhone X users. According to the iOS 12.1 release notes, Apple has brought its “performance management feature” to iPhone 8 and iPhone X. You’ll find the same language on Apple’s iPhone Battery and Performance support page. What it means is that now all iPhones up to the latest XS and XR models have a built-in setting that “dynamically manages maximum performance to prevent unexpected shutdowns is on and can choose to turn it off.” You won’t be able to see the feature and it won’t actually do anything yet, but one day it might. Why this matters: Apple is pulling something of a trick here by quietly adding the performance management features to the iPhone 8 and iPhone X after the fact, but it should be a long time before anyone using those phones experience any issues related to the new feature. And we wouldn’t be surprised to see the new iPhone XS and XR phones added to the same list down the line. Besides, this is a good time to remind everyone to check their battery using the Battery Health tab in Settings to see if you actually need a new one. Performance management is the thing that sparked dozens of headlines, caused Apple to implement a year-long battery replacement policy, and spurred a response from Congress over Apple’s honesty. 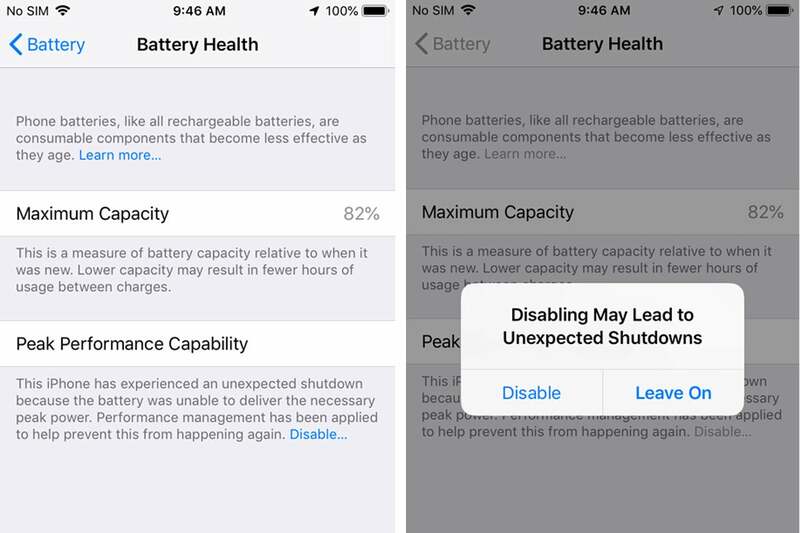 The way it works is, if an iPhone suffers a battery-related shutdown without warning, it will throttle the processor down to speeds that are safer for the processor to handle. The problem was that Apple didn’t actually tell anyone it was doing it until iPhone users started complaining about how slow their phones were. iPhone 8 and X users might one day see this option on their phones. But ultimately, this a good thing. For one, the feature is disabled by design on all iPhones, and only kick in if and when the system detects an unexpected shutdown. For another, you can turn it off once it’s activated. All you need to do is go into your Battery Health settings and flip the toggle. 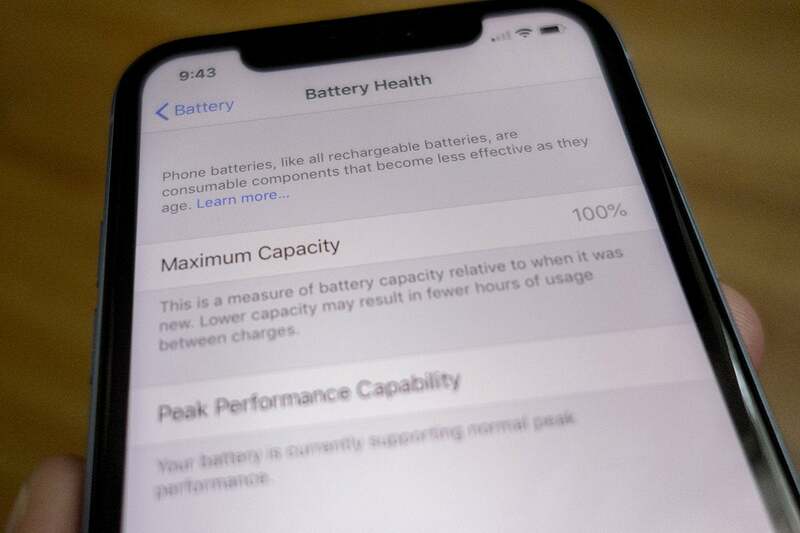 Two or three years from now, when the batteries in these phones actually start degrading, the performance management feature will actually do what it’s supposed to do, and your iPhone 8 or X will be protected against future “unexpected” shutdowns.